You either want to share your own calendar, or get access to another users calendar. 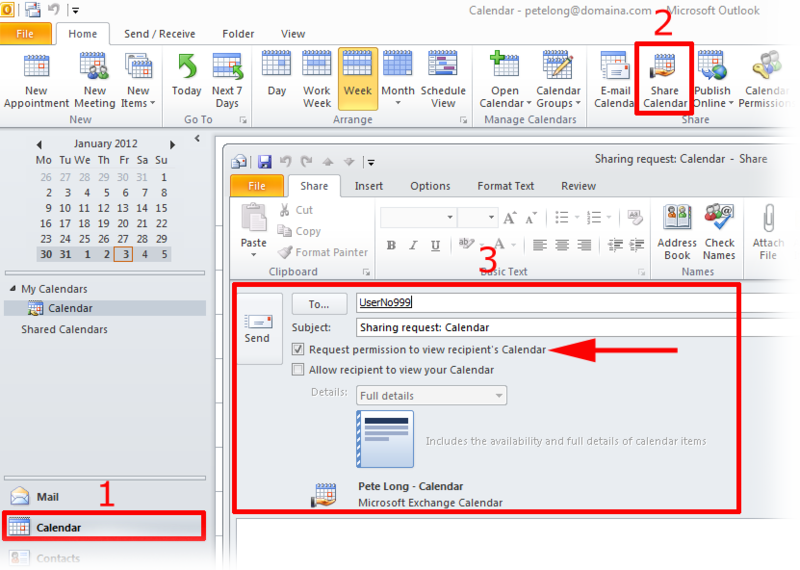 Outlook 2010 – How to grant a user rights to your calendar (Delegate Access). 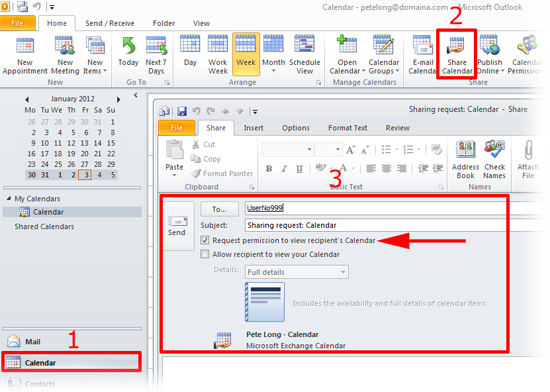 Outlook 2010 – How to grant a user Read rights to your calendar (Via Email). 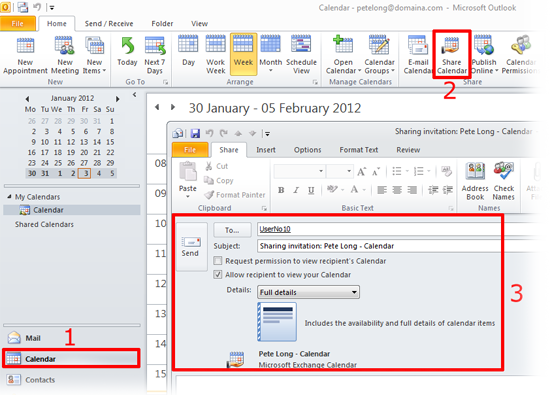 Outlook 2010 – How to grant a user rights to your calendar (Direct Permissions). Outlook 2010 – How to grant ALL USERS rights to your calendar (Default Permissions). 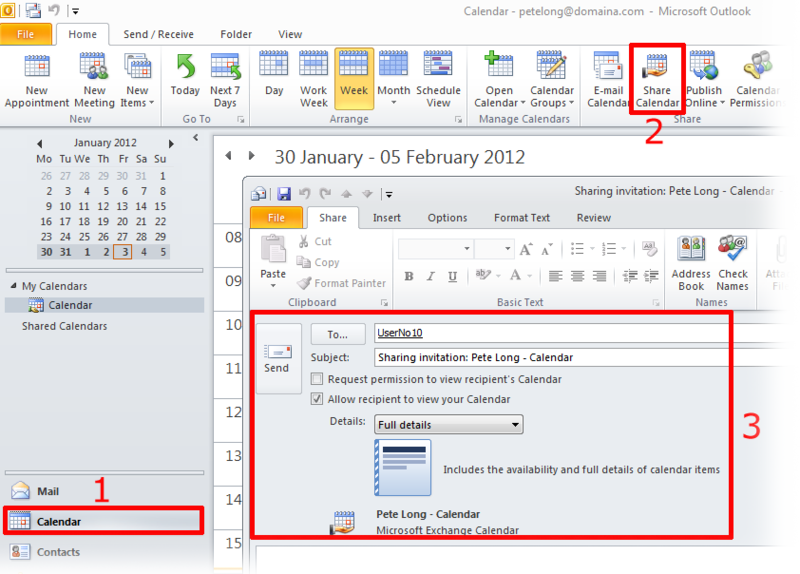 Outlook 2010 – Requesting access to another users calendars (Via Email). Outlook 2007 – How to grant a user rights to your calendar (Delegate Access). 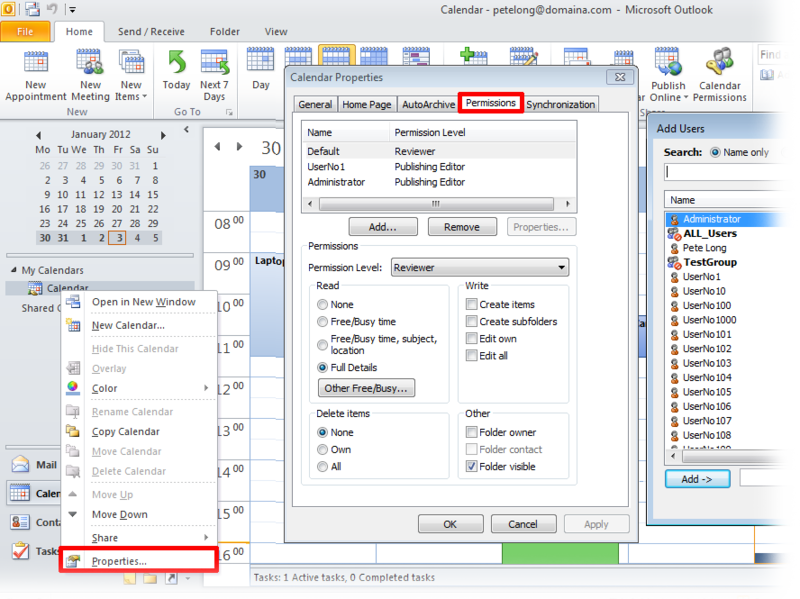 Outlook 2007 – How to grant a user Read rights to your calendar (Via Email). 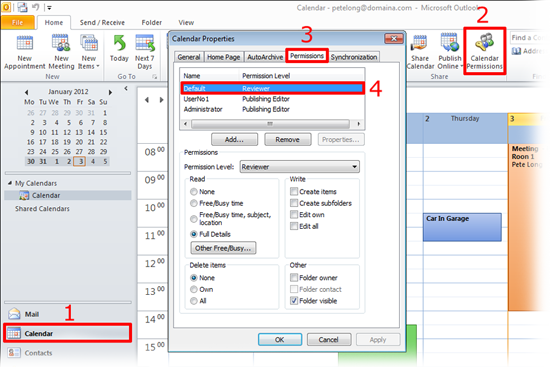 Outlook 2007 – How to grant a user rights to your calendar (Direct Permissions). 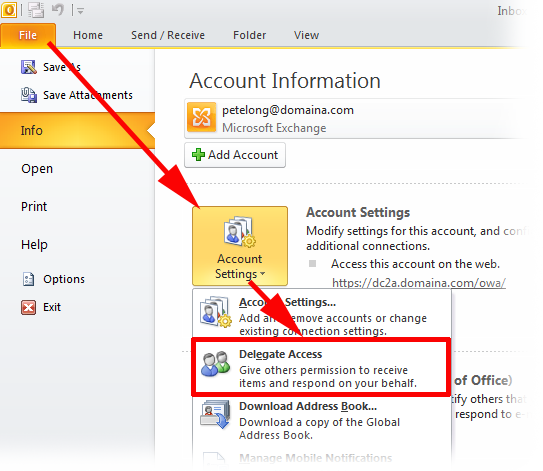 Outlook 2007 – How to grant ALL USERS rights to your calendar (Default Permissions). 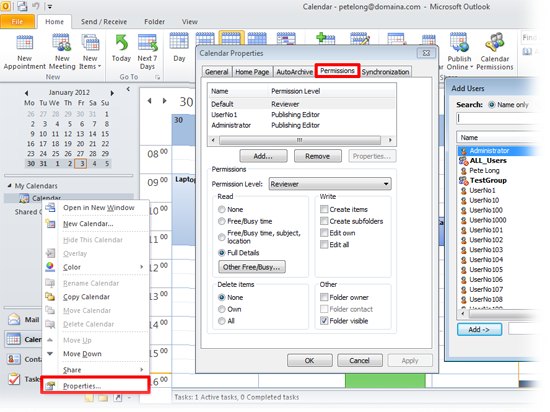 Outlook 2007 – Requesting access to another users calendars (Via Email). Outlook 2003 – How to grant a user rights to your calendar (Delegate Access). Outlook 2003 – How to grant a user rights to your calendar (Direct Permissions). 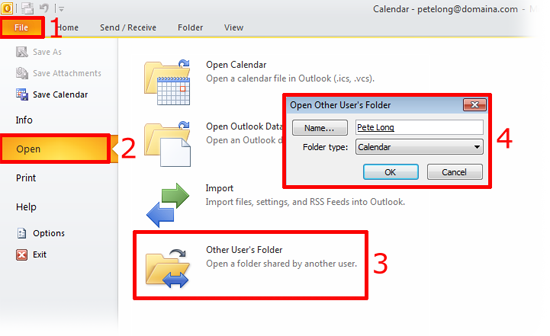 Outlook 2003 – How to grant ALL USERS rights to your calendar (Default Permissions).